Nowadays, job seekers pay more attention to cover letters of candidates than their resumes before deciding who deserves to be part of their company’s team. So one should have an idea on how to write great cover letter. But first, let us see..
Just as a synopsis of a book or a movie review gives an idea of the content, cover letter is a gateway to what a candidate is like, or how to fit he/she is for the job role. So never make the mistake of taking the cover letter casually. It is very important to draw the recruiter’s attention at the very beginning of the interview. For this, you need a concise, smart and practical cover letter. Here are 10 tips as to how to write cover letter. 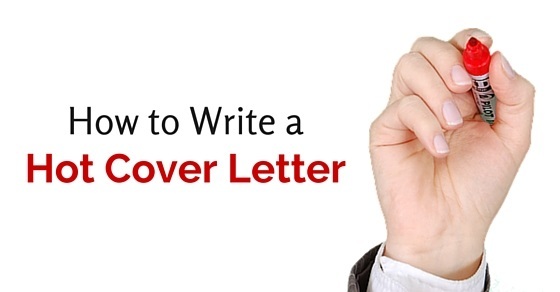 The following mentioned are few cover letter tips on how to write a good cover letter. It is better to begin by addressing the recruiter directly than writing ‘Dear Sir/Madam’, especially if a ‘call letter’ already pinpoints the recruiter details. This way you let the concerned person know that you have gone through the job profile, and mean serious business. Moreover, it sets a very warm, yet professional opening to the cover letter. Many candidates make the mistake of having a general introduction in the cover letter without directly addressing the person concerned. This may make the recruiter feel that you have written a common cover letter for many different job openings. This may not create a strong impact that addressing someone personally creates. If the recruiter has contacted you with the job profile, or you have gone across the requirements for the profession from any other source, cite few points from ‘what they expect from the employee’. This is a simple way to target your recruiters by providing them exactly what they are seeking. You should word your simple cover letter for job only after you make note of these factors. You get an idea of what the recruiter wants by reading the JD and the mail they send you. For instance, if they are looking for someone who has had a hands on experience in the profession for a decade, but wants a candidate who is down to the earth, follow the cue. You can say, “I have always been among the top performers at the places where I have worked. But I like to hold my ground, maintaining a humble attitude with an eagerness to learn more”. You need to sound positive in your tone and approach to keep the reader engaged. Do not use negative words or expressions, which usually is a big turn off for the recruiter. Candidates often do not realize how great an impact a short cover letter for a resume can have on the recruiter. A positive and professional cover letter can instantly get you a job. You need not lie but you must know how to present the facts in the correct light. For instance, if you are a fresher, do not tell the employer that you have no work experience as this will surely make him reconsider your job application. On the contrary, you may rather inform him/her about what you can do and reveal some of your skills and abilities in your college projects. You also need to emphasize that a fresh mind and outlook can bring a positive change to the company. In few words, you must be able to express that you are what the company has always needed. Make the cover letter no longer than 2 to 3 paragraphs. You should come across as a passionate person who is really interested in the job opening and can get them what they want. When you prepare a short and effective cover letter, you can be sure that the recruiter will read through the whole cover letter before running into conclusions. Recruiters usually do not go beyond the first or second paragraph in case of a lengthy cover letter. While you highlight all your abilities in few words, do not be too pushy or seem too needful. Be gentle, and stick to the necessary details you want the employer to know, and leave out the rest for the real interview. Make them see what you are. Notify them about your professional skills, and how these could be worthy for their firm. This does not mean simply highlight by using the right words. You may have to use a word to highlight key skills with different colors so that the recruiters take notice of them. Remember that the recruiters have to go through countless resumes each day and simplifying the cover letter format can help them get the best from your cover letter. Be smart and friendly, and do not project yourself as a ‘memory drive’, just blabbering about all that is on the resume. Focus on key skills and projects you have done. Anyone can possess bookish knowledge but only eligible candidates possess the right skills and abilities. Recruiters often need assistance with their work. Just stating your qualities may not always be helpful. Some recruiters may require you to be a little more descriptive. You may have to sometimes show them how your skills can help to take their firm to greater heights which they never imagined. Only stating your skills is not enough. Let the reader relate those skills to the job requirements. How beneficial will you be? Why should they call you for the interview, or even peek at your resume? Why are you the right choice for their firm? Spelling mistakes, wrong grammar, a fluff of adjectives, and quirky presentation style for information will not make the reader go beyond few lines in the cover letter. Once you have typed the cover letter, make it a point to recheck the document again. Typo errors are common when we tend to type the cover letter in a hurry. Such mistakes need to be corrected to avoid a bad impression at the very beginning. Use right grammar, be crisp to the point. You need to maintain a professional tone and wording in your cover letter. Customize the letter, save it in .doc file and not a PDF file. The way of writing a cover letter or preparing a content for it, speaks a lot about your basic persona. For instance, when you tend to use ‘we’ while writing about your dreams of this particular job, it gives a feeling that you believe in team work. It helps to create trust in the mind of the interviewer. You must definitely include your achievements, goals and dreams regarding your career. But you need to be careful that you do not use ‘I’ excessively as it may create a negative impact. Weave in new words; begin the sentence with other phrases. Too much of ‘I’ portrays a lack of words and egotism. Some recruiters may even misunderstand it to be an attitude problem and neglect your cover letter completely. The purpose of a cover letter is to provide an introduction letter to your resume. If this is not achieved effectively then there is really no use of your best cover letter. After all the talks, make sure that you remind the recruiter to check out the resume. Though it is obvious that the reader will have a look at the attachment, it is your duty to guide him through. If your cover letter has not nailed his/her attention, there is a rare chance that the recruiter may avoid your CV altogether. Do not let this happen. Everything you write in the cover letter will create a lasting impression on the recruiter. When you conclude the cover letter, do not use words like ‘please’, ‘I hope’, ‘I earnestly request’ etc. These terms usually depict desperateness which is not a positive trait in a prospective candidate. Be casual yet do not go over the limit with colloquialism. What you have written so far must have already struck the reader’s mind in making a decision. The ending of cover letter has to be just one line or two about what kind of action you expect from them, put out very politely. Even today, in the online era, a good cover letter has an impact especially if you are applying for higher positions in a firm. While a resume is what helps you get shortlisted for an interview, a resume without a proper introduction in the cover letter does not give the same results. A job seeker should know the significance of a well crafted cover letter and resume. He must make use of technology to coming out with the best resume and cover letter. This will help him get a job of his choice without waiting too long.